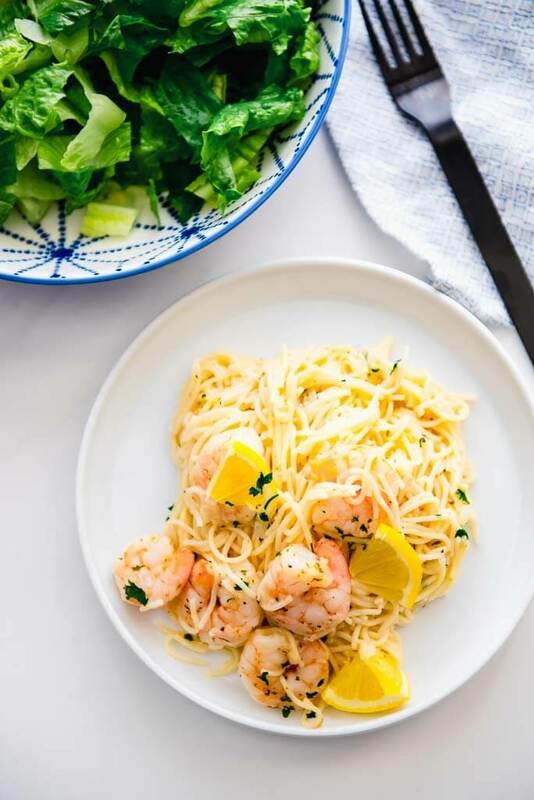 If you need a truly simple dinner that is not only quick but also delicious then look no further than this easy Lemon Garlic Shrimp Pasta! If you get tired of making the same dinners over and over again but don’t have time to learn an elaborate new recipe, then today I have a solution for you. 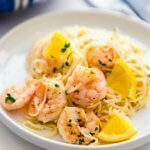 Instead of the same tired pasta dish how about a new, fresh and amazing Lemon Garlic Shrimp Pasta?! Ever since I first made this a few weeks ago, it’s all my daughter asks for. It’s hard to say no when making dinner can be this quick and easy yet leaving everyone begging to have it again! I love recipes that can be made all in one pan! Invest in a nice basic everyday skillet and you’ll be able to make all kinds of easy dinners! How do you make lemon garlic butter sauce? My favorite way to make a sauce like this is to reduce some chicken broth until it’s packed with flavor (from the evaporation of about 1/2 of the water content). Then add your lemon juice and a little cream to make it extra delicious. I do this after I’ve sautéed the shallots (or onion) and garlic and then let it all simmer together. If you like a little parmesan cheese add it at the very end just in time for it to melt. 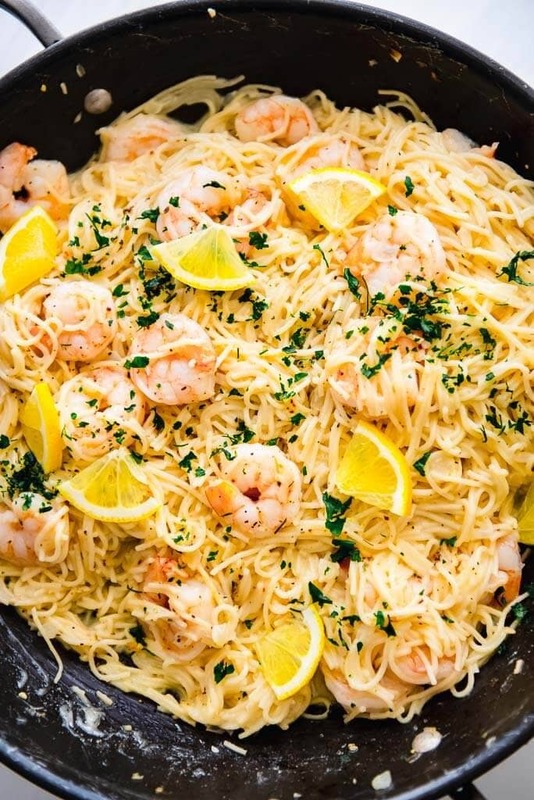 How do you cook the shrimp for the pasta? 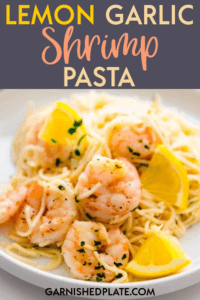 I prefer tail-off shrimp to keep it simple and easy to eat. 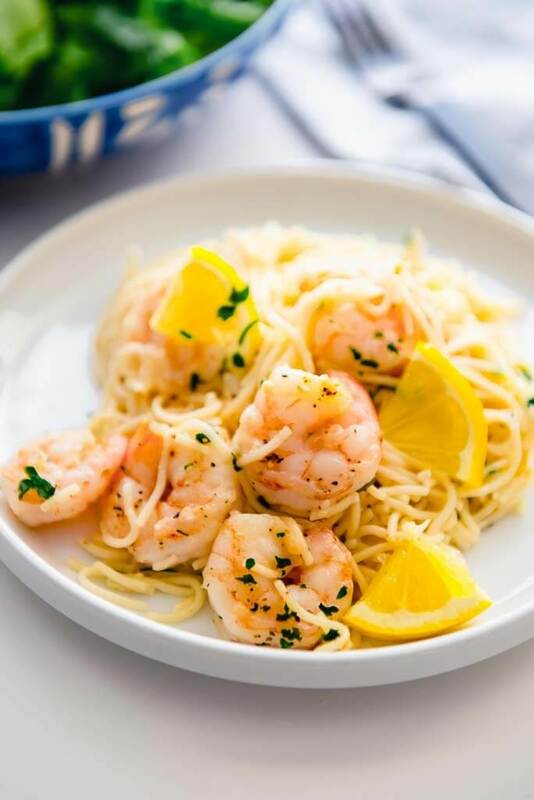 Shrimp cooks very quickly making this dish very fast, but you’ll need to pay attention so you don’t overcook it. 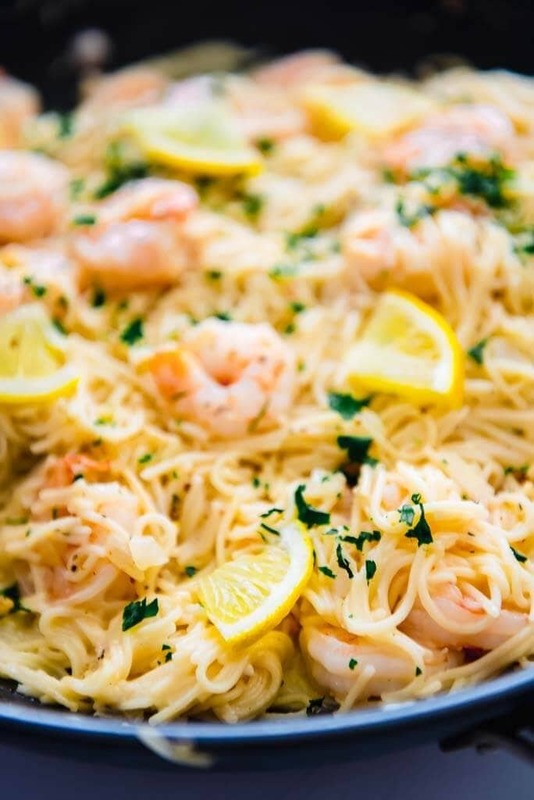 It all comes together quickly not only because of the shrimp, but also by using angel hair pasta which cooks quickly. I usually make my pasta in the Instant Pot by covering with water to about 1/2 inch above the pasta and then setting at high pressure for 1/2 of the cooking time on the package. Cook the pasta separately by whatever method you prefer.